Magnet #199. 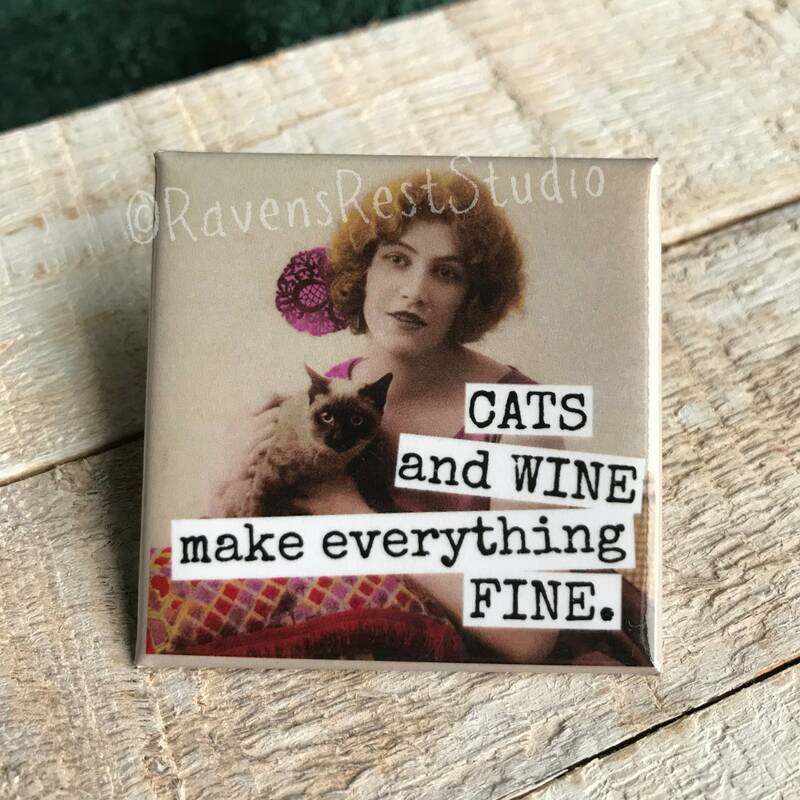 CATS and WINE Make Everything FINE. Fridge Magnet. Vintage Photo. Housewarming Gift. Siamese Cat. 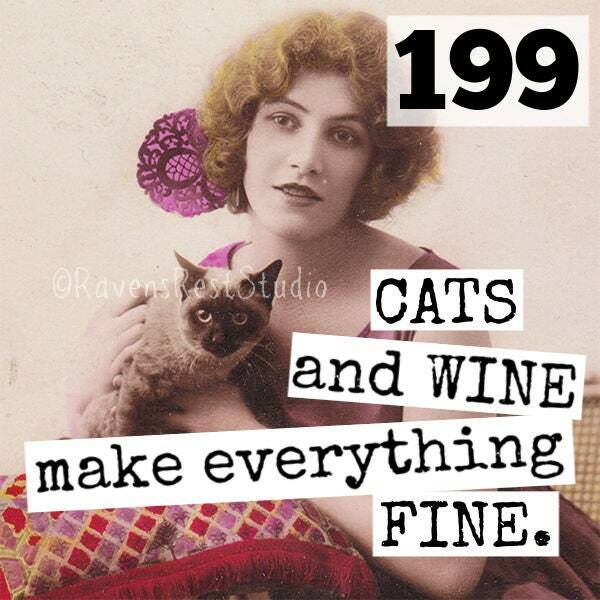 Crazy Cat Lady. 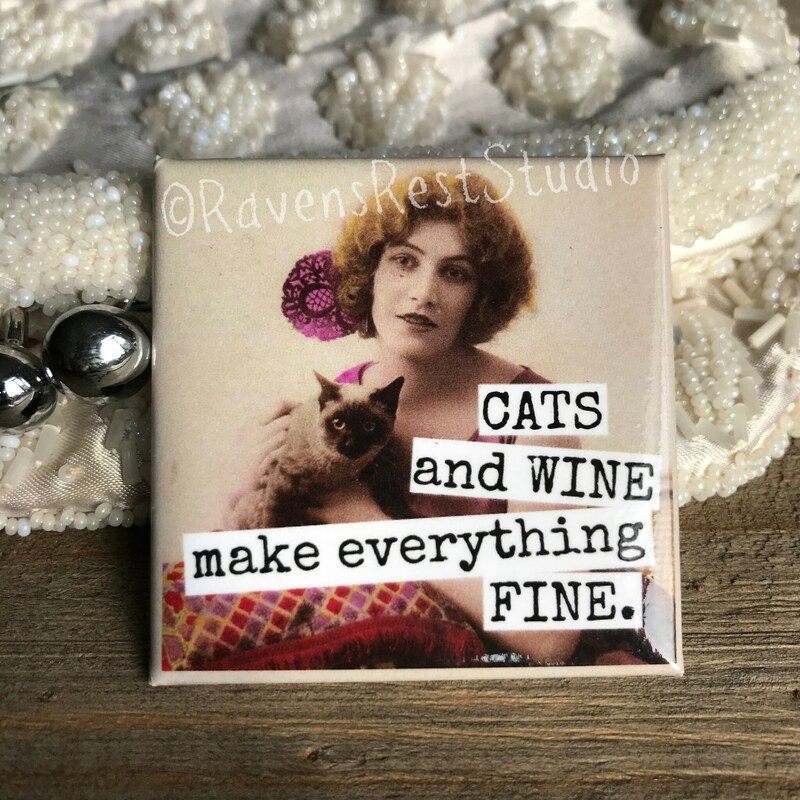 This 2 inch square magnet features a vintage woman holding her Siamese cat and reads: "CATS and WINE make everything FINE."